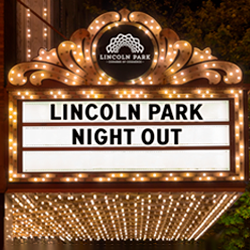 The Lincoln Park Chamber of Commerce (LPCC) has partnered with organizations and individuals from across Lincoln Park to offer this year’s Community-Wide Forum: Living Green in Lincoln Park - coordinated and sponsored by Children’s Memorial Hospital. Living Green in Lincoln Park will provide everyday citzens - and businesses - an opportunity to learn more about easy steps they can take to make their lives more energy-efficient and lower their carbon footprint. The March 23, 2010 event will be the first in a series of forums organized by the committee and will focus on business-related issues ranging from greening your office to greening your communal kitchen space. With customers more frequently demanding sustainably-created materials and fresher alternatives, now is the time for businesses to take steps to green their products. In addition, by doing so, businesses large and small can integrate these efforts into marketing and outreach campaigns, often garnering free publicity or an earth-friendly reputation in the process. At the LPCC contact Padraic Swanton, director of marketing and communications at (773) 880-5200.